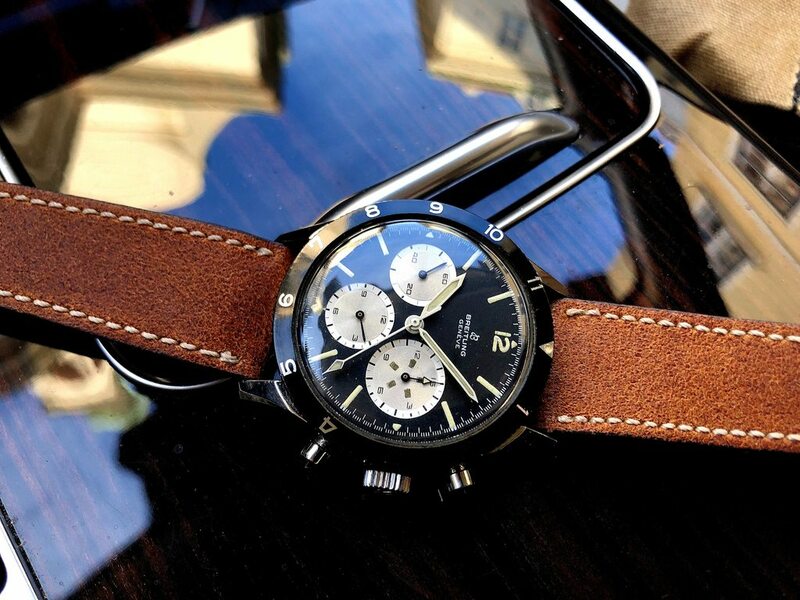 The Breitling Watch Source Forums • View topic - Is a "new" 765 on the way? Is a "new" 765 on the way? Post subject: Re: Is a "new" 765 on the way? My wild guess: near exact reedition limited editions with period correct NOS movements. I'd be very surprised if there was NOS anything sitting in Breitling's vault/warehouse given how messy the sale was in 1979.
you'd be surprised but no, clearly no Venus 178, let alone in "mass production" quantities and the correct Breitling TJ finishing, these went out of production in 1966.
with vintage movements, you also need to consider parts availability for decades of servicing and repairing these watches (ask owners of the Panerai Rattrapante...), standardized state of the art finishing precision to allow for Chronometer certification etc. ; a lovely idea, but sadly impossible on an industrial scale. Looking forward to seeing what’s next. Yeah those look fantastic. After a couple of years in the 'wilderness' from a watch standpoint; I too am getting excited about some of these latest offerings. Staying close to the original design would be epic and you don't have to worry as much about the maintenance. Good stuff. I think a new 765 is confirmed based on this comment and reply on Kerns Instagram. The response from Georges Kern does not surprise me. Nice! Very interested in the potential here. Now that is something to get excited about! I hope that everyone who is gushing about the current Golden Age of Civil Aviation pieces goes and buys one so that the line for something like the above is that much shorter! !